Understand Want to know more? Deepen your understanding of Back-up Cameras. Challenge Up for a challenge? Tackle a few challenging scenarios using Back-up Cameras. A back-up camera, also called reversing camera or rearview camera, is a special type of camera attached to the rear of your vehicle. It helps you see the area behind your car when backing up. It often provides more visibility behind your car than you can get by turning your head. 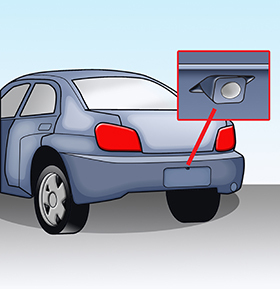 This added visibility can help prevent a crash when backing up. When you shift your car into REVERSE, the back-up camera automatically turns on. 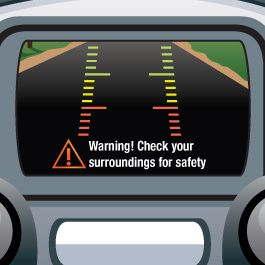 A video display shows an image of the area behind your car. 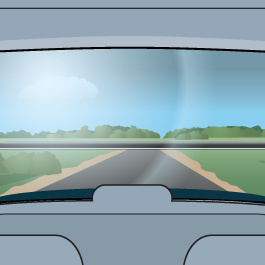 This display screen is usually in the rearview mirror or on the dashboard. In some systems, the image may include lines to show distance. 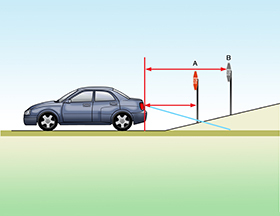 Some back-up cameras have pathway lines to help you estimate the space required when parking. 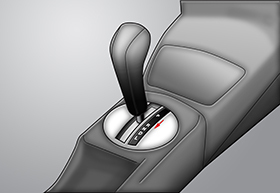 The lines may adjust based on your steering and wheel movements. When you shift out of REVERSE, the back-up camera will turn off. Some cars also allow you to turn off the back-up camera manually by pressing a button. Your back-up camera is located in the rear of your car. It is connected to a display screen that shows you what is happening in the area behind the vehicle. Some back-up camera systems include sensors in the rear bumper. 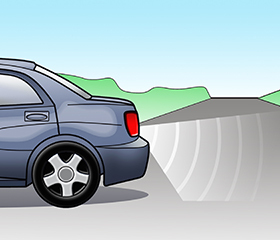 These sensors detect objects behind your car. 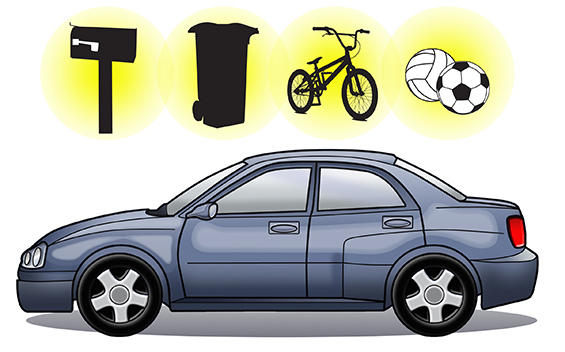 When an object is detected, your system will provide a warning light and/or a warning sound. Some cars are also equipped with Rear Cross Traffic Alert. 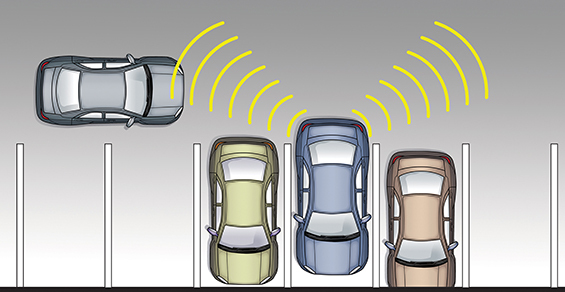 This system helps you backing out of a parking space when your vision may be blocked. 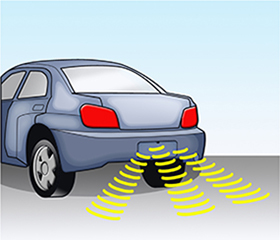 Sensors monitor both sides of the vehicle. If an oncoming vehicle is detected, it will alert you. Your back-up camera has a limited field of view. It may not see objects below the bumper or under your vehicle. When a child or an object in your back-up camera view suddenly disappears, you should recheck before backing up. They may have entered your back-up camera’s blind spot. What kind of object might trick the camera? Using the car below as an example, work with a partner to design your own scenarios! There are lots of objects that might fall outside my camera’s field of view. The most likely objects to “trick” my camera from the list are a ball, bicycle laying down, tree branch, tow bar, and possibly a drivable toy car. Your back-up camera’s field of view is directly behind your vehicle, so it may not detect objects or people to the left or right of your car. In this image, see how the back-up camera screen doesn’t show the oncoming car until the 3rd frame. Frame 1: My camera should only find the trash can and lid, and possibly the ball. Frame 2: My camera should find the ball, and possibly the front end of the bike. Frame 3: My camera will find only the bike. Imagine yourself backing down the hill shown in this image. Describe any problems there might be in the way the camera displays the situation. My camera’s display might show the parking meter closer than it really is. In a situation like this, I should use my mirrors and look over my shoulder to manually identify how far objects are from my car.